Are you interested in buying or leasing a new Ford in the Harrisburg, PA area? If so, you’re probably keeping your eyes open for current Ford offers, deals, and lease specials. From Ford truck leases to deals on brand new Fusion and Fiesta models, we have the perfect vehicle for you. The first thing to do is to explore the inventory; look through the vehicles, identify what you like, and check for special offers or leasing agreements. After that, quickly apply for financing through our website--it only takes a few minutes! Then, give us a call; we’d love to set up a test drive at your earliest convenience. It’s the only way for you to truly experience the value of a new Ford vehicle. Do you ever wish you could drive a new car every couple of years? Do you love the “new car smell,” the latest vehicle tech, and the most fashion-forward car designs the industry has to offer? If so, consider looking into our Ford lease specials today. We have each of Ford’s new models available, and you can take them all out for a test drive. A Ford lease deal offers more than just the thrill of new car. When you lease, major car repairs are a thing of the past, and your vehicle is always under warranty. All you have to do is attend to maintenance and oil changes. You won’t even have to replace the tires! 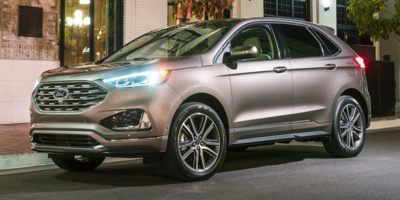 Better yet, a Ford lease allows you to explore a handful of different vehicle styles within a relatively short period of time. Once you find the perfect fit, you can purchase the car after your lease term is over. If you currently lease a Ford and would like to return it, buyout the lease, or purchase it once your agreement has ended, swing by at your earliest convenience--we can work out all of the details for you. Would you like to call a beautiful F-150 or a powerful F-250 your own, but you aren’t ready to commit in the long term just yet? Why not try one out on a lease agreement? We offer fantastic rates on a Ford truck lease, and you can choose from a plethora of Ford truck models and price ranges. Once you’ve fallen in love with the truck, you’re welcome to buyout the term or purchase the truck outright after the lease period has ended. If you’d rather move on to another vehicle when the term is over, that’s great too! We would love to show you around our collection of Ford F-150s and F-250s, and we can set up a test drive as soon as you have time. Once you’ve experienced the raw power of a Ford truck engine and the comfortable environs of the cab, you won’t want to look anywhere else. If you’re considering buying a new ford vehicle or taking on a monthly lease, you’re probably thinking about taking out a loan. If so, we encourage you secure financing through our dealership and our credit partners. Our financing professionals have years of industry experience, and they know how challenging it can be to secure reasonable financing for a new or used car. We can help you figure out APR, the meaning of your credit score, and more, and we want to see you get a fantastic rate on a reasonable loan. The first step is to make sure you can afford a good down payment. The more you pay up front, the less you have to take out in a loan. And the smaller you loan is, the smaller the amount of fees you have to pay on that loan. The annual percentage rate (APR) is the thing that can be challenging, but the confusion is generally unwarranted. In short, APR is the fee you pay for the privilege of earning money. Since APR is expressed in a percentage, the larger your loan is, the larger your APR fees will be. This means two things: make a larger down payment, and find a competitive APR. To get started, use our simple online finance application tool. You need to enter your banking information, social security number, and few other odds and ends, and when you’re finished, it will quickly generate the type of financing you are eligible for. This helps in a couple of ways--it keeps you within your budget while you shop for cars, and it saves you from having to worry about car financing while you shop. That’s right--you can enjoy the car shopping process! Does Your Credit Score Matter When Applying for Ford Special Offers? So does your credit score matter when applying for Ford credit? Yes, it does. While it may seem unreasonable to you, your credit score is the only indicator lending companies have to go by in regards to the risk you present. Your loan company doesn’t know you personally. A higher credit scores tells your creditor that they can place a higher level of trust in your financial well being--and that often means better financing and lower APR. In fact, buyers sometimes have to have a certain level of credit to apply for new car specials. To keep you credit score up, experts recommend doing two things: “zero out” your credit card balance before it reaches 30% of your credit limit, and make sure all of your bills are paid on time each month (obviously). Just the 30% percent rule alone can make a big difference. If you have any questions about our Ford lease deals in Harrisburg, our new car offers, or our used vehicle collection, please let us know. We want you to enjoy shopping for a car, and that’s only possible when you feel empowered and in control! We truly believe that we have cars for everyone, so get started shopping today. You never know what surprised may await.